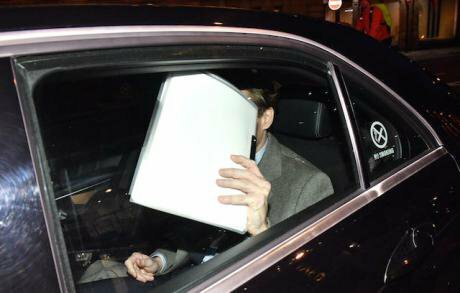 Chief Executive of Cambridge Analytica (CA)Alexander Nix, leaves the offices in central London, as the data watchdog applies for a warrant to search computers and servers used by CA amid concerns at Westminster about the firm's activities. Dominic Lipinski/Press Association. All rights reserved. On March 17, The Observer of London and The New York Times announced that Cambridge Analytica, the London-based political and corporate consulting group, had harvested private data from the Facebook profiles of more than 50 million users without their consent. The data was collected through a Facebook-based quiz app called thisisyourdigitallife, created by Aleksandr Kogan, a University of Cambridge psychologist who had requested and gained access to information from 270,000 Facebook members after they had agreed to use the app to undergo a personality test, for which they were paid through Kogan’s company, Global Science Research. But as Christopher Wylie, a twenty-eight-year-old Canadian coder and data scientist and a former employee of Cambridge Analytica, stated in a video interview, the app could also collect all kinds of personal data from users, such as the content that they consulted, the information that they liked, and even the messages that they posted. Following these revelations the Internet has been engulfed in outrage and government officials have been quick to react. On March 19, Antonio Tajani President of the European Parliament Antonio Tajani, stated in a twitter message that misuse of Facebook user data “is an unacceptable violation of our citizens’ privacy rights” and promised an EU investigation. On March 22, Wylie communicated in a tweet that he accepted an invitation to testify before the US House Intelligence Committee, the US House Judiciary Committee and UK Parliament Digital Committee. On the same day Israel’s Justice Ministry informed Facebook that it was opening an investigation into possible violations of Israelis’ personal information by Facebook. While such widespread condemnation of Facebook and Cambridge Analytica is totally justified, what remains largely absent from the discussion are broader questions about the role of data collection, processing and monetization that have become central in the current phase of capitalism, which may be described as ‘platform capitalism’, as suggested by the Canadian writer and academic Nick Srnicek in his recent book. Over the last decade the growth of platforms has been spectacular: today, the top 4 enterprises in Forbes’s list of most valuable brands are platforms, as are eleven of the top twenty. Most recent IPOs and acquisitions have involved platforms, as have most of the major successful startups. The list includes Apple, Google, Microsoft, Facebook, Twitter, Amazon, eBay, Instagram, YouTube, Twitch, Snapchat, WhatsApp, Waze, Uber, Lyft, Handy, Airbnb, Pinterest, Square, Social Finance, Kickstarter, etc. Although most platforms are US-based, they are a really global phenomenon and in fact are now playing an even more important role in developing countries which did not have developed commercial infrastructures at the time of the rise of the Internet and seized the opportunity that it presented to structure their industries around it. Thus, in China, for example, many of the most valuable enterprises are platforms such as Tencent (owner of the WeChat and QQ messaging platforms) and Baidu (China’s search engine); Alibaba controls 80 percent of China’s e-commerce market through its Taobao and Tmall platforms, with its Alipay platform being the largest payments platform in China. All this is done in order to use data to create value in some way another (to monetize it by selling to advertisers or other firms, to increase sales, or to increase productivity). Data has become ‘the new oil’ of global economy, a new commodity to be bought and sold at a massive scale, and with this development, as a former Harvard Business School professor Shoshana Zuboff has argued, global capitalism has become ‘surveillance capitalism’. Most of the time platform providers keep track of our purchases, travels, interest, likes, etc. and use this data for targeted advertising to which we have become accustomed. We are equally not that surprised when we find out that, for example, robotic vacuum cleaners collect data about types of furniture that we have and share it with the likes of Amazon so that they can send us advertisements for pieces of furniture that we do not yet possess. There is little public outcry when we discover that Google’s ads are racially biased as, for instance, a Harvard professor Latanya Sweeney found by accident performing a search. We are equally hardly astonished that companies such as Lenddo buy access to people’s social media and browsing history in exchange for a credit score. And, at least in the US, people are becoming accustomed to the use of algorithms, developed by private contractors, by the justice system to take decisions on sentencing, which often result in equally unfair and racially biased decisions. Today surveillance is the DNA of the platform economy; its model is simply based on the possibility of continuous privacy invasions using whatever means possible. In most cases users agree, by signing the terms and conditions of service providers, so that their data may be collected, analyzed and even shared with third parties (although it is hardly possible to see this as express consent given the size and complexity of these agreements - for instance, it took 8 hours and 59 minutes for an actor hired by the consumer group Choice to read Amazon Kindle’s terms and conditions). In other instances, as in the case of Kogan’s app, the extent of the data collected exceeds what was stated in the agreement.